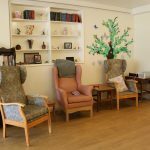 By choosing to live at Nazareth House, we believe that people are looking towards the next stage of life which has much fun and social interaction both within and out of the home. 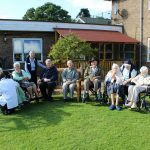 Nazareth House is a very busy, vibrant environment with a full range of activities and social options to choose from, many of these are facilitated by our activity coordinator with the support of the Friends of Nazareth Fund Raising Group. Our volunteers provide one to one opportunities or you can go out into the community and choose what you like to do; our volunteer driver comes in three times a week to drive either the car or the adapted mini-bus to various venues, which very often include afternoon tea somewhere along the way. The menus are changed every four to six weeks based on the choices of the residents menu group which meets regularly with the Catering Manager. It is our belief that fresh seasonal fruit an vegetables should be used at every opportunity and provide variety as well as a healthy and well balanced diet; dietary requirements are always catered for.